Have you recently added a timber structure to your backyard, such as a deck, pergola or patio? You will need to ensure that the timber is regularly treated with a quality decking oil or sealer. Treating your own timber can be a frustrating and messy process if you lack experience and patience. For this reason, many homeowners hire a professional to manage the maintenance process. However, for those who want to save some cash and are willing to get their hands dirty, below are some important tips. 1) How do I maintain the timber? 2) How often your should apply this process? 3) What is the best decking oil or sealer to use on my particular timber structure? This water-based sealant is simple to apply and easy to clean up. It has been specially formulated for the harsh West Australian weather conditions, and provides long-lasting protection against sun, rain and heat. Learn more about our decking sealant. Organ Oil is produced by an Australian owned company and has also been designed to withstand the harsh WA climate. 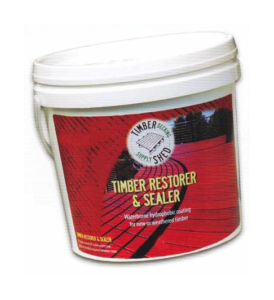 It is formulated to guard against wood rot, degradation and exposure, and is available in a variety of colours to match most timbers. Furthermore, Organ decking oil is also doing it’s part to help the environment with all ingredients coming from regenerable natural resources. We can provide you with a DIY Timber Decking Maintenance program which will highlight when you should clean, reseal or oil your timber. 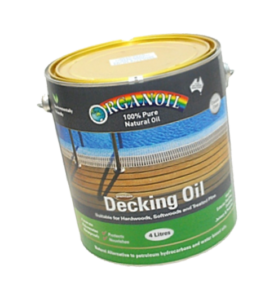 Furthermore, we can advise you on the best decking oil or sealant product to use. Contact Paul today for free expert advice.